Home Education Adapting Blockchain(B-C) Into Knowledgechain(K-C). 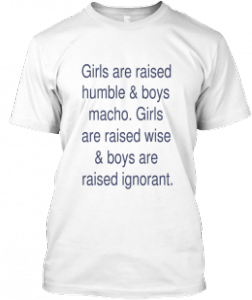 Girls are ahead as they are raised humble. WASHINGTON, DC, USA, August 25, 2018 /EINPresswire.com/ — Imagine all these third world countries where there is dishonesty and corruption every step of the way, where the leader in power takes action in his or his own party's interest. Those at the top corner all the resources for themselves. Now imagine where all the powers that be were completely honest and all their transactions were transparent and for the good of all the people. The idea is that if someone took a bribe it would show all over. It must be made into law to link every action of the government to the blockchain without encoding and with full transparency. Blockchain has a built-in honesty system where the power is not in the hands of specific individuals but in the hands of several computers distributed around the world! Just imagine a totally honest Zimbabwe from the local to the central level. Imagine a block as being a box of encrypted digitalized information or action that is linked up next to every other box like a linked chain. So far blockchain is mostly a ledger recording the transactions that are encrypted. I am suggesting transactions that are transparent and do not need decoding. Just imagine a government that acts in full view of the world and does not act in secrecy, and is incapable of corruption. Just imagine blocks/boxes of pure knowledge linked together that guide individuals, groups, companies, and governments to behave with total honesty and efficiency. Just imagine blockchaining education and removing the mess in education and in society. Just imagine every human being becoming their full potential. Imagine a wise world! What the world needs and must get; is a blockchain of pure and effective knowledge! I have already done quite a bit of original work showing the path to a wise world. We need to create a knowledgechain(K-C) world! We even have to expand B-C onto new frontiers in every field from technology to peace, health, happiness, and prosperity. The time for blockchaining the world and every bit of relevant data is at hand. We must create 'blockchain' standards for all individual, group and country life. We need to B-C/digitize all human behavior. Blockchain(B-C) your life. From 'blockchaining' individual lives to groups and countries. We need to create open Blockchain standards. Even create Blockchain/Knowledgechain Awards. Apply B-C techniques to research everything from human behavior, relationships, curing diseases, unlocking the mysteries of philosophy, peace to self-improvement. We must B-C every individual, even every company, group, and country by assigning a B-C value. We must redefine definitions of all human values by injecting B-C standards. Beauty contests like Miss Universe must take into account not just looks but also all human values. In the future, we will hold a Miss B-C contest. We even need a B-C system of justice. Expressions like, 'Please B-C your life' should become common and 'actualize-able'. We need to create a blockchain world and it can and will be done! We even have to expand B-C onto new frontiers in every field from technology to peace, health, happiness, and prosperity. If any of the above ideas have already been proposed then I am just standing on their shoulders and these individuals are my partners on blockchaining and knowledgechaining the world. This press release is dedicated in honor of my La Martiniere College schoolmate and friend, Cedric Towning. Quantifying all human behavior and all human knowledge. Living life by numbers.